Hi ladies! 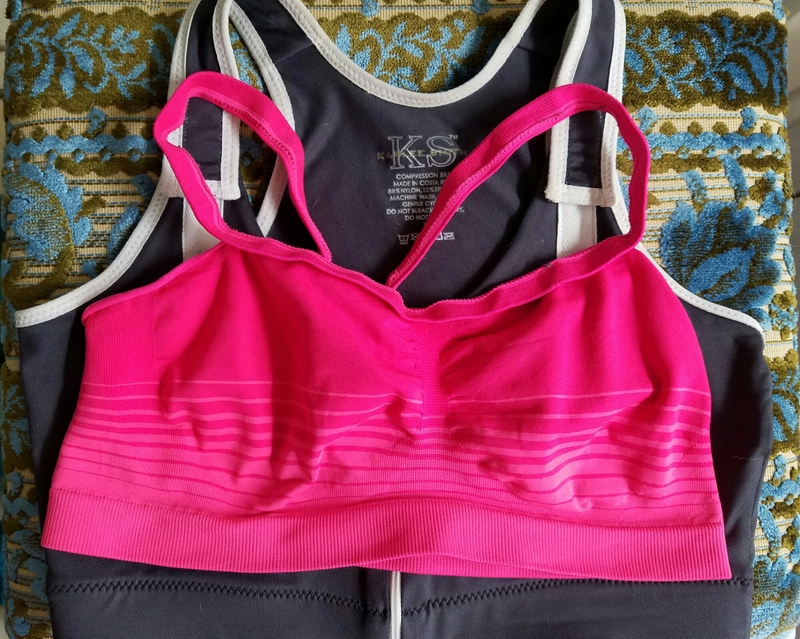 It literally feels like forever since I’ve written a review for you all, but since buying a new home last fall I’ve not been able to keep up on my usual bra purchasing habits and therefore have not really had anything to write about. However, I am happy to say that along with this bra I also have a couple more on the way so I’m hoping to get some good reviews out for your reading pleasure! Lady Grey is a bra that was originally made by Anna Pardal and first became available last summer. When it was first released, it had a satin ribbon edging that lined the tops of the cups (as seen below in this picture of Gogobee), but I believe that it caused some fitting issues so they later decided to remove that detail from the newer Lady Greys they made. When this bra originally came out and several of our AEE ladies purchased it, I was obsessed immediately. But due to the ribbon issues I had heard about and the fact that I was still unsure about purchasing an Anna Pardal because of the heftier price tag than Comexim or Ewa Michalak, I held off. Then when we heard the sad news that Anna Pardal was closing its doors, I immediately fell into a regret spiral for not purchasing it when I could. Luckily, shortly after hearing about AP, we heard the great news that Comexim (who had been producing the bras for AP) would continue to make them while they had the materials to do so. I was elated and swore that I wouldn’t let this beauty get away from me a second time! As any of you who are regular readers of our blog know, we are huge fans of Jaimie at Bra Obsessed. Though I have always been a “direct buy” kind of girl, purchasing my bras directly through Comexim and Ewa Michalak, this time I decided to try a retailer and reached out to Jaimie. She was so sweet and wonderful to work with. Given that the last bra I ordered from AP was a 30GG, I decided to stick with that size for my Lady Grey, ordering a standard plunge with no alterations. Then I waited…and let me tell you, after being on a bra-buying dry spell for the last few months, I forgot how excruciating it is waiting for my bras to come in! But finally it did come. As I say with almost every bra I purchase, Lady Grey is even more beautiful and luxurious in person than in the pictures. Not to say anything negative at all about my other Polish bras, but the AP bras definitely have a high quality luxury look and feel to them that is quite stunning. The first thing I noticed when I put on Lady Grey was how nice and firm the band and straps were. 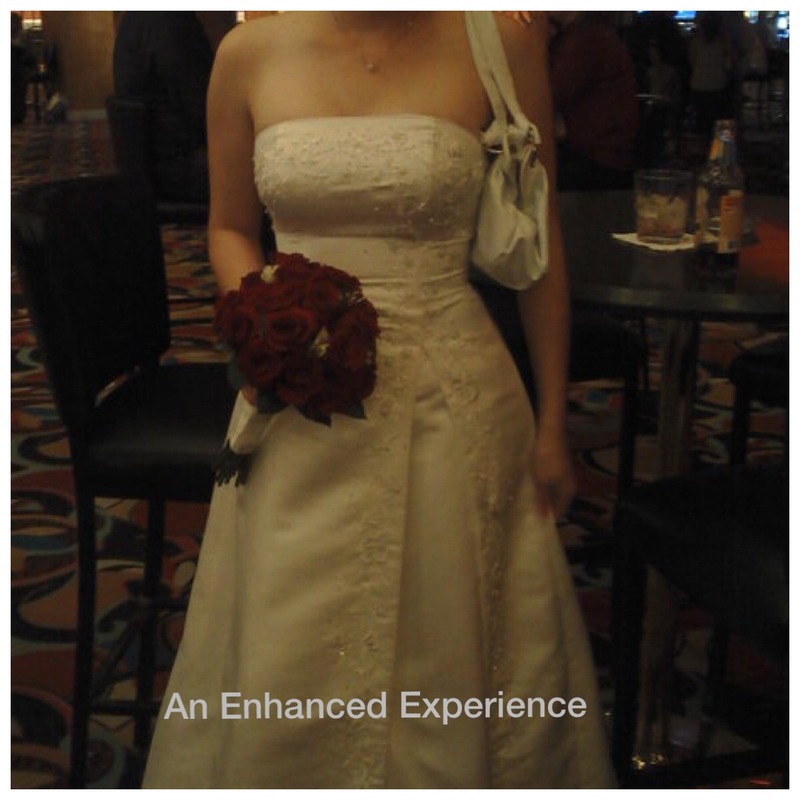 It felt very secure and supportive without feeling constricting or uncomfortable. I thought I had died and gone to Polish bra heaven! But then upon further inspection of the fit, I noticed that there was a slight pointiness at the apex of the bra, where it wasn’t laying flat against my breasts. My first thought was that the size might be slightly too big and that my breasts were not fully filling the cups. I immediately sent the picture to my fellow AEE girls for their thoughts, and it was very clear to them that the cup was actually too small and that I needed to order the next size up, a 30H. Over the next couple of hours I did that back and forth thing, trying to decide if I should just settle for a bra that was a little too small instead of having to send this bra back and wait for another one to be made (did I mention how much I hate waiting for bras 😉 ? ), but in the end I decided that the girls were right and I needed to send it back. 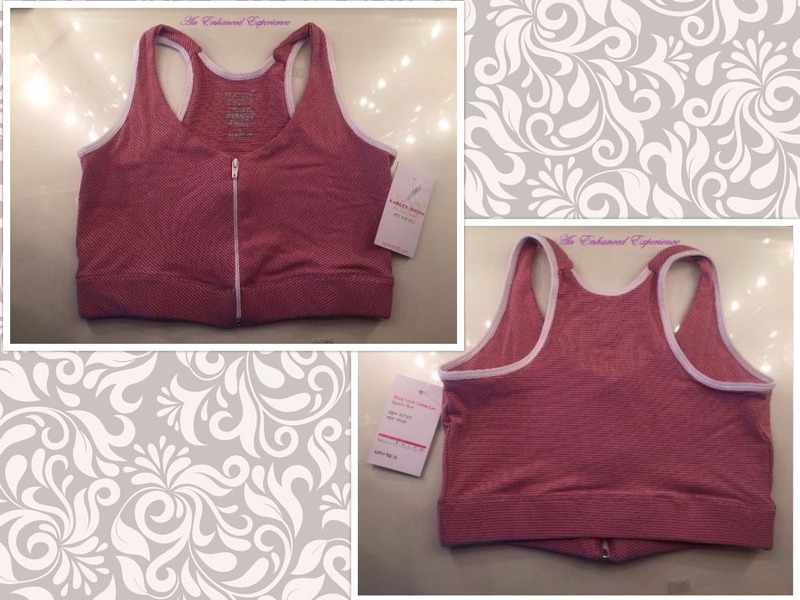 Now one of the greatest perks about ordering through Bra Obsessed (and something I had never been able to experience before) is how easy exchanges and returns are. I emailed Jaimie that night and asked if she happened to have a 30H in stock, and to my great joy, she did! She mailed it out to me the very next day and I sent her back my too-small bra. Easy peasy! Now, have you ever had a time where you thought something fit fine…until you tried on anther size that fit you perfectly, and it was only then that you realized how poorly the original size fit? That was basically my experience when my 30H came in. The 30H did come with a couple alterations, with the straps moved in 3 cm and pockets added into the cups, but no alterations to the actual cups. Below I have a comparison picture of Lady Grey in 30GG (bottom) and in 30H (top). As you can see in the 30GG, the apex is too low (causing the pointiness), and the cups are too narrow which push my breasts in too much. Though the gore is 1.75 cm taller in the bigger size, it is still low enough that the gore is comfortable and the wires don’t sit on my breast tissue at all. It was also a blessing in disguise that this bra already had the straps moved in, since I think that with the larger sized cup, the straps might have been too wide otherwise. I have worn Lady Grey both on the weekend and at work, wanting to try it out when I’m running around doing different activities as well as when I’m sitting at my desk job, just to try out it’s comfort level and I’d have to say that this in my top 2 or 3 most comfortable bras I own. There are a couple of very specific reasons why I say this. The first is that the band stays put. I have a few bras that no matter how tight I make the band, because of the material it seems that the band likes to creep up throughout the day and I have to adjust it down. This band is firm, yet very comfortable and it doesn’t move up my back even when I’m moving around a lot. The second reason is that the gore is very comfortable. I find that with most of my bras, by the end of a long day I can feel the gore starting to dig in a bit. 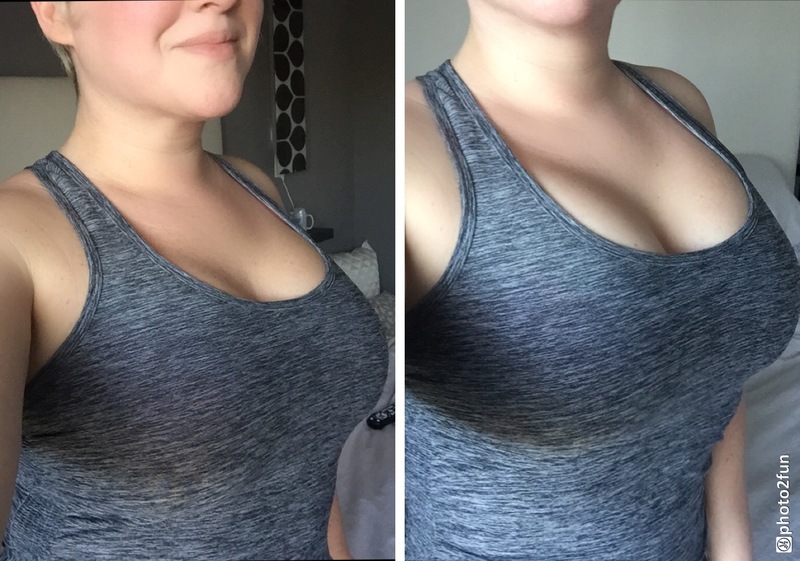 I wore this bra for about 8 hours the first day and 10 hours the second and I felt no digging at all. Overall I am so glad that I was able to purchase this gorgeous bra, and even happier that I didn’t settle for an “almost fitting” size and was able to get one that fit perfectly!